How To Determine The Authority of Any Domain? When it comes to ranking well in a search engine for a certain keyword (or keywords), Authority is everything. More authority beats less authority every time, simply because it can! Certain domains or websites have an authority on certain topics, because every subject has an expert. Search engines today understand authority, and have their algorithms designed so as to give preference to authoritative domains for any search query. 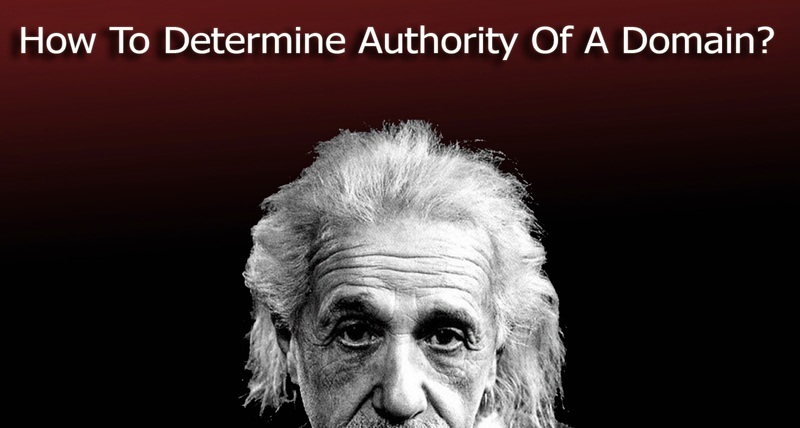 But how exactly do you determine the authority of a website? It's not like a pre-computed number that you can compare two domains with. Authority and trust are two ambiguous ranking factors that every SEO should focus on. They're ambiguous because no one truly understands how Google applies these concepts to their algorithms. So how exactly do you judge how authoritative a domain is? Rich Snippets are short previews of the website contents on search result pages. Having a good rich-snippet not only makes your site look good, it also helps gather a better click-through rate. Rich snippets can be indicative of authority. Simply adding structured data markup does no make rich snippets magically pop up. We have explained in a previous post that it is upto Google to show your profile picture (along with other rich snippet data) in search results, and that there's no guarantee that structured markup will always work. But one of that factors that makes the rich snippets show up is domain authority. The domain and the page has to have Schema markup and a certain level of authority in order for its rich snippet to be displayed in search results. A Google search for a particular domain will get you a link to the homepage in the results, along with a few sitelinks below the search listing for the same domain. Google determines the relevance of these sitelinks based on the query. But not every domain is so privileged so as to have its sitelinks listed in SERPs. Only authoritative domains with a good trust rating get their sitelinks added by Google. So if you want to see whether a site is authoritative enough, you should do a Google search for the domain name, and see if any sitelinks appear. Google is now taking content from other sites and displaying it in the search results. In any other context this would be called site scrapping, but Google calls it “knowledge graph”. Despite what you might think about Knowledge Graph, it is clear that if Google is willing to take your content and display it on their site, it must have a certain amount of authority. So far Wikipedia is likely the one domain with the most knowledge graph integrations and its no mystery how well it ranks. Yes as the name applies having verified authorship, means an inherent level of authority. Which means its a pretty fair assumption that if a site has authorship in the results, the domain has some vested authority. In fact authorship might be one of the best signals to build authority……but that’s for a different blog post! Lets face it, anyone can get on page one for a non-competitive long tail query. However, it takes a little bit more work and authority to rank for mid level or highly competitive terms. If a domain can rank for a mid level term it means that it likely has a certain amount of authority. If its ranking for a highly competitive term then it absolutely has authority. This is what I am searching for. But need to know more about it.